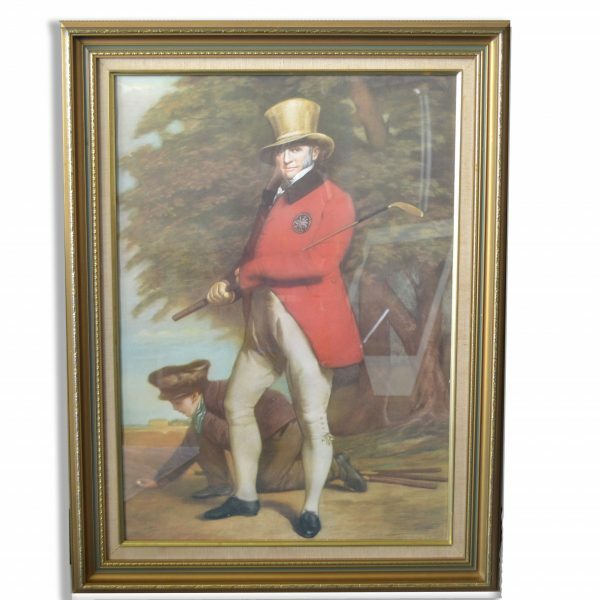 A print of Gordon’s, John Taylor, Sir John Watson Gordon 1788-1864 RA,PRSA. 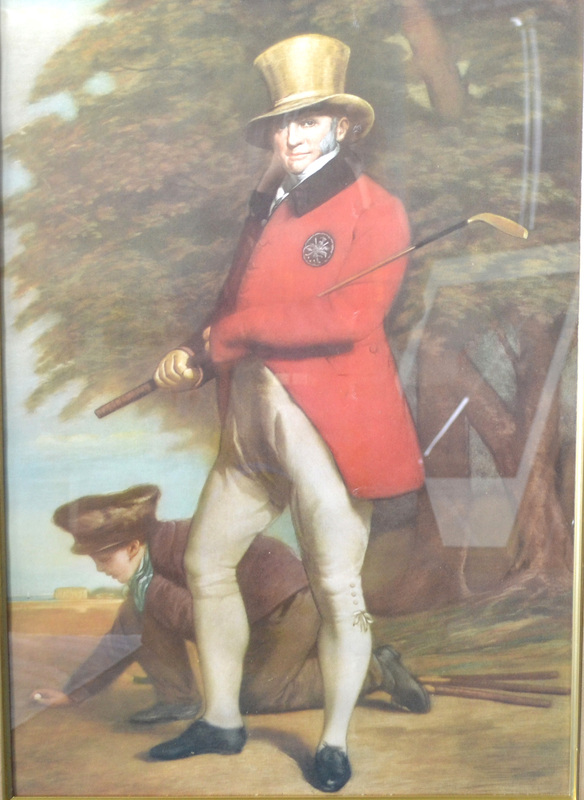 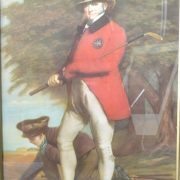 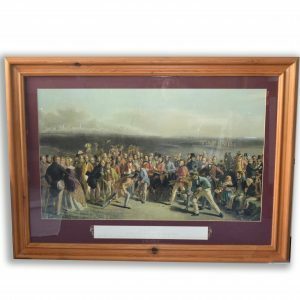 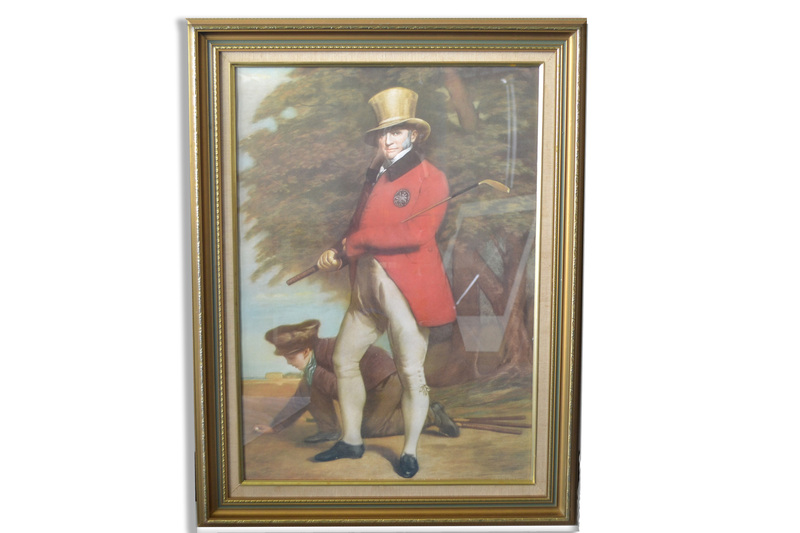 Is credited with the panting a portrait of John Taylor, Captain of the Honourable Company of the Edinburgh Golfers many times between 1807and 1825. 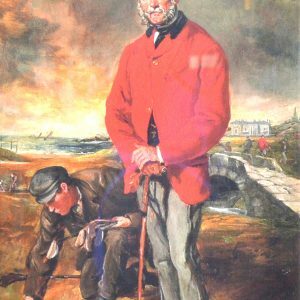 He founded the Royal Scottish Academy and was also the official painter for Queen Victoria. 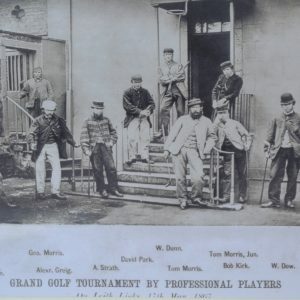 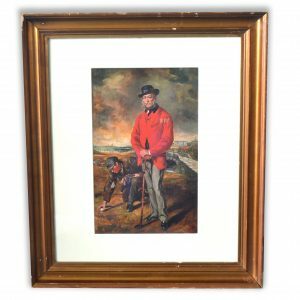 Both Gordon and Sir Henry Raeburn have been listed through the years as the artist of the Taylor portrait, however research tells us that the information provided by John Kerr in 1896 in The Golf Book of East Lothian is the most accurate. 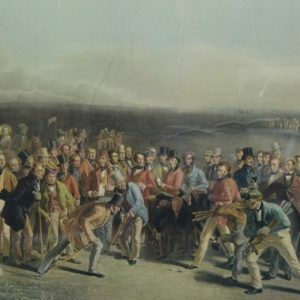 Kerr states that Raeburn started the painting and that it was finished by Gordon. 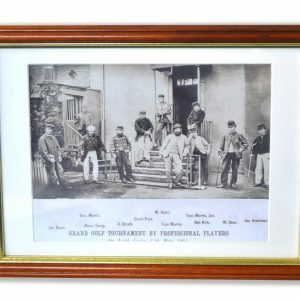 The earliest print was engraved in mezzotint by Will Henderson in 1914. 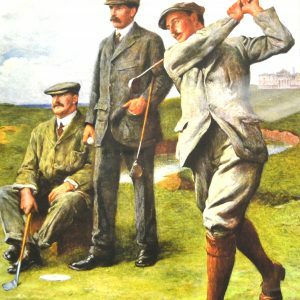 W.A.Cox made a later mezzotint in 1926. 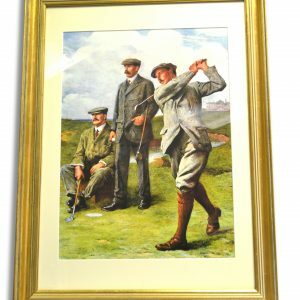 Several other lithographs of the work have been published including a print in A Golfer’s Gallery of Old Masters.